Some great feedback from our satisfied clients in Plymouth and across the country. "Right Surveyors really helped to put our mind at rest during the purchase of our first bungalow, their advice over the phone was clear, concise and down to earth. Along with a friendly approach from the staff I found the service to be perfect and I would recommend to anyone. An initial phone call after the survey was followed by the written report in only a few days which was ideal." "We have nothing but high praise for the survey work carried out by Right Surveyors Ltd. Excellent service throughout; very professional, also has excellent communication skills. Thorough work carried out, very comprehensive reporting of findings and very promptly delivered. Great job done." "Right Surveyors Ltd are professionals with a happy helpful down-to-earth telephone manner – that is why I chose them to carry out the survey for us. They kept us informed about everything via e-mail at all times and the final report was well presented and easy to understand. Great job and recommended by us for giving such a great service." 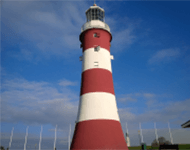 Providing a full range of building surveying services to owners and occupiers of residential, commercial and industrial premises in and around Plymouth, the Right Surveyors fundamentally understand that each client has different budgetary and unique property requirements. Our team provides a wide range of professional services including Property and Building Surveys, Project management, Contract administration. Give us a call on 01752 687 752 or Freephone on 0800 880 6024.